This week you will begin seeing Office 365 Planner Preview on by default. In December, Microsoft rolled out Planner Preview to select First Release customers, to sign-up and assign Planner licenses their users. Today, Microosft are rolling Office 365 Planner Preview out to all of First Release, without the need to sign-up and assign licenses. 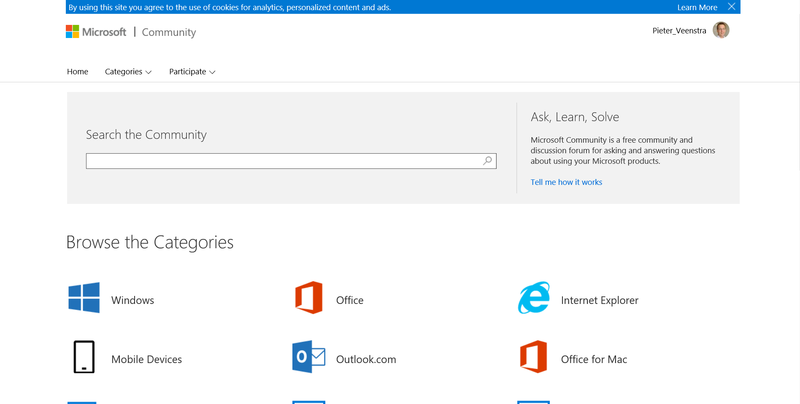 Office 365 Planner Preview is now available, on by default, for you and your users. Planner Preview brings together teams, tasks, documents, and conversations for better planning and collaboration. There is nothing you need to do to prepare for this change. Log in and get yourself familiar with Planner. Please click the link below to learn more. 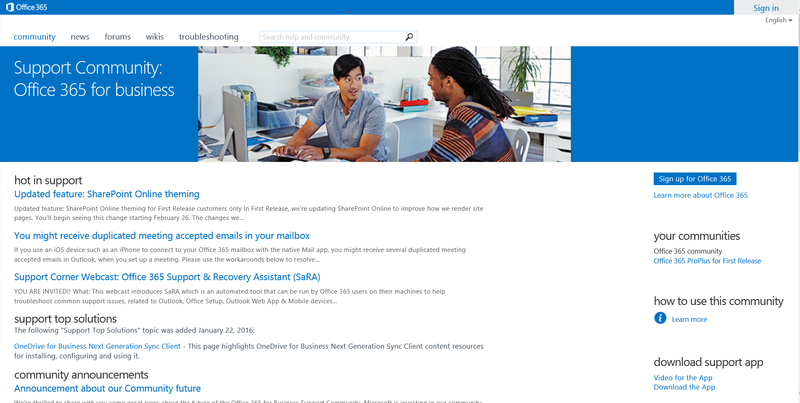 The Office 365 for Business Community (community.office365.com) is joining the Microsoft Community (answers.microsoft.com). This merger itself is scheduled for mid-to-late June, with additional integration taking place through August. Instead of looking in two different communities for answers, you only have to go to one place. Microsoft Community is the largest support community hosted by Microsoft, and it already includes Windows and Office support. Once Microsoft bring Office 365 into the Microsoft Community, you’ll be able to search all forums at once, so you won’t miss anything the community is saying about your problem. For a full discussion of this change, click Additional information below. Mid-to-late June, 2016: Office 365 for Business Community joins the Microsoft Community, and begins using a new set of forum topics dedicated to Office 365 for Business admins and users. For details, including how we’ll migrate accounts, avatars, and posts, please click the link below to learn more. August, 2016: Office and Office for Mac forum topics will be simplified, and all topics for Office, Office for Mac, and Office 365 for Business will be organized under one main forum category called “Office.” Dedicated Office 365 for Business Administration topics will remain unchanged. Visit the Microsoft Community Integration FAQ Wiki for answers to questions you may have, and subscribe to the wiki to stay updated. Please click the link below to learn more.